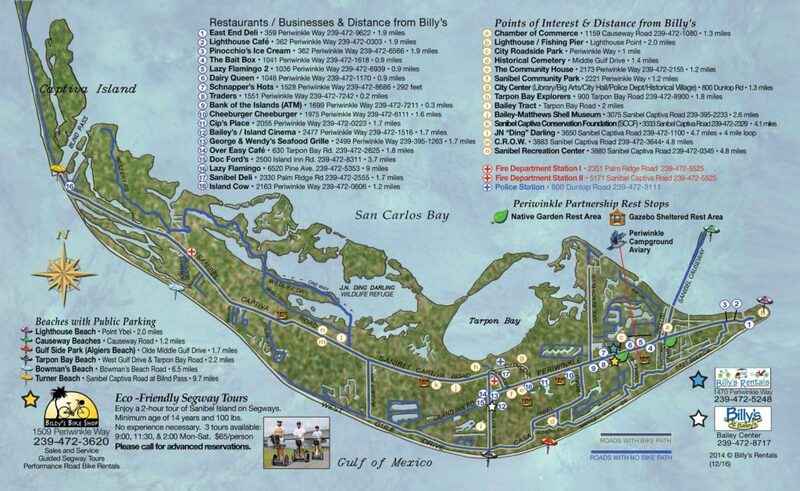 Sanibel Island is a cyclist’s paradise. Home to beautiful beaches, pristine water, nature preserves and wildlife refuges, Sanibel has plenty to offer by way of attractions and roadside views. As far as cycling goes? In our opinion, it is the only way to get around. Sanibel has over 25 miles of shared user paths for cyclists, walkers and runners, making getting places and site seeing an easy endeavor. Traffic on Sanibel, although at times excessive, is limited to 35 MPH – so sharing the road with those riding road bikes is practical and safe for cyclists, teams and group rides. In fact, quality road bikes can be rented from our shop if you are looking for the beach cruiser alternative.